Stay away. The owners, Rosita and Sam Wesley, are mentally unstable, have had many encounters with police, have threatened passers-by with assault, and most recently shot an unarmed resident in the back. Hopefully these guys will be put away. Until then, please BOYCOTT CRYSTAL BEACH CABINS. The owners of Crystal Beach Cabins are both completely nuts, They are violent and unpredictable, and Sam (the owner) is currently on house arrest on the property due to murder charges he is facing. Rosita (the other owner) has been seen threatening people many times over the years with a gun in her hand. Don't come anywhere near this place. THEY are all NUT'S...DO NOT GO THERE AT ALL... I have had it out with them and now that I know they can do as they please and get away with it. I wont even go by there. Rooms Dirty A/C warm at best old outdated Rude staff Maybe on Crack!!!!!! If you have any values you will not stay here. The owner is on house arrest for attempted murder (shooting a guy in the back who was walking away). The owners should be thrown in jail or a mental institution for life, and their property sold to help Joe O'Donnell at....Husband and wife scumbag owners of this dump. My wife and I lived in West End for 8 months. We were both threatened by the owners Sam and Rosalita from Crystal Beach Cabins. If you have any respect for life do not stay there. Do not give them your money. They shot a very good friend of ours who is one of the nicest most peaceful person we have ever met. Stay away from these crazy people! don't even give this place an second look if you value your life. Plenty other great places to stay. Beware of even approaching this place. 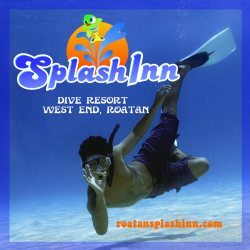 It is unfortunately that people like the owners of this establishment ruin the reputation for the rest of the Roatan people. If the judicial system does not stand for protecting the innocent and punishing the guilty ,Sam Wesley, it will destroy tourism which will impact greatly on their economy. Stay away, these people are dangerous! There are many other places to choose from in West End, many of these places without crazy-murderous owners. Stay away! The owners are very unhinged, your safety is in danger! Rosita is a crazy bi-polar individual! You never knew why you would deal with! Ode real mornings drinking beer at 6 am happy the next yelling out of her window at anyone and everyone! I lived here three months and it was HELL! I feel sorry for her kids! Especially her son what a nice guy with a lunatic of a mother! And just to top all that off my computer was stolen from my cabin with no sign of break in! Huuummm! Similar to some other reviews! Stay else where is my advice! All my friend told me she (Rosita) was crazy but they were being nice! Don't know much about Sam because he's in prison for shooting an Australian in the back! Rosita if you can read you need to quit disrespecting people! Your passing you crappy attitude and misfortune on to your kids and grand kids! They are embarrased of you and how could you blame them!!! Rosita is crazy! Stay else where for your safety!